Each of Ronald Hutton’s books is greeted with enthusiasm by the general academic community and by the intelligentsia who read the kind of papers that review his kind of books. Within the much more limited circles of witchcraft, his reception is more divided; there are those who raise him for sweeping away our most outlandish creation myths on the one hand, and on the other, those who feel he is given too much sway precisely because of his academic credentials. What should we, in the even smaller world of Gardnerian Wicca, make of his latest? 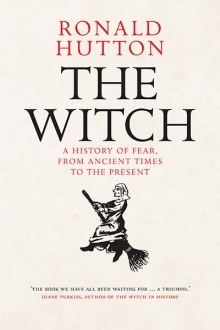 This review will look at Hutton’s The Witch: A history of fear from ancient times to the present (Yale University Press, 2017) and in parallel at Gardner’s original work that introduced Wicca to the wider world: Witchcraft Today (Rider and Company, 1954). Hutton starts his book by outlining four potential definitions of the word “witch”. First, as a person who uses magical means to cause harm (as judged by their contemporaries). Second, as a person who uses magic for any purpose, with the term “white witch” reserved for those who aim to do good. Third, as a practitioner of a modern nature-based pagan religion. And fourth, as a feminist symbol of resistance to the patriarchy. At the beginning of the book, he explicitly states that he will only examine the development of the first concept and sets out the reasons why. At this point the Gardnerian starts to wonder what the index has to say that is of direct relevance to us – at least this Gardnerian did. Rather like the person who looks in the index of a celebrity memoir, are we more relieved to find ourselves present, or absent? In this case, we are absent. True to the first definition being used, the index carries no entries for Wicca, Gardner, Valiente, Graves, or Crowley. Margaret Murray does get four pages (pp. 121-124) but only to repeat the now widely-accepted rebuttal of her hypothesis of the survival of the witch cult as a remnant of ancient paganism. 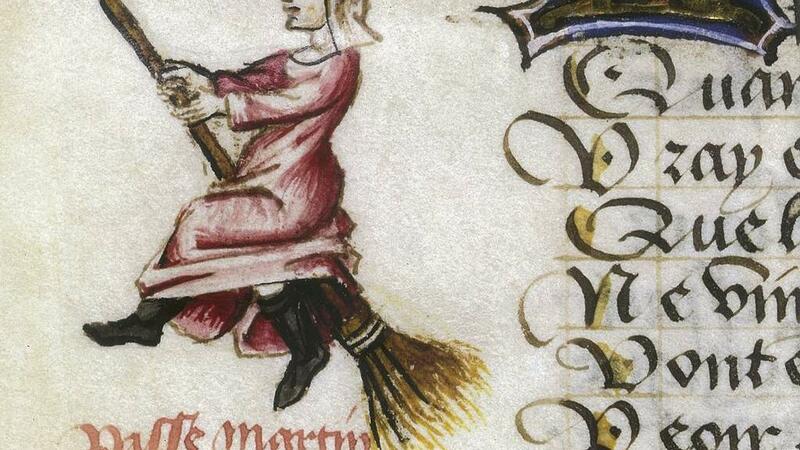 If we accept this rebuttal (though certainly not all modern witches do) then the relevance of the book changes. If there is no line from ancient pagan religions to the early modern witch trials (Hutton’s first definition) and thence on to modern pagan witchcraft (third definition) then studies of ancient witchcraft are of casual interest only. And so, perhaps surprisingly, if you refuse to accept Hutton’s rebuttal of the Murray hypothesis, his present work would actually be more immediately relevant to Gardnerians. If Hutton is wrong and Murray was right, his work on the idea of a witch, judged by her contemporaries to be evil, actually does potentially feed through to modern Wiccan practice. And if you accept this rebuttal (as I do) then The Witch can only describe a cultural phenomenon that indirectly affected the modern founders of Wicca. So if Hutton has nothing to say of direct relevance to modern Wicca, what does he say and can we find material of indirect relevance? The book is divided into three parts. The first, called “Deep Perspectives”, looks at concepts of the malevolent magic user in anthropological studies from around the world, in the ancient world, and in discussions of shamanism. The second part, “Continental Perspectives”, narrows the focus to Europe, largely in the medieval and early modern period which included the witch trials. It covers the legacy of Egypt, the wild hunt, and witchcraft in medieval to early modern Europe. The final part, “British Perspectives”, focuses even more closely on the British and Irish archipelago and looks at witches and their connections with fairies, “Celticity,” and animals in those islands. The section on the ancient world contains some good, concise summaries of magic (including malevolent magic) in Egyptian, Mesopotamian, Hebrew, Greek, and Roman contexts. In covering all this in thirty brief pages, Hutton can, of course, only give a brief overview of each and a practitioner of (say) Egyptian rites would probably find little or nothing here that is new to them. But to a Gardnerian who may not be a specialist in classical magic, there are some wonderful inspirations for ritual. As often, it is the laws and prohibitions against doing something that gives us our inspiration, and some idea about what practical magic might have looked like. In the middle section, the discussion of the development of the European magical tradition (pp. 110-119) is particularly useful, giving probable origins for such familiar elements as the quartered circle and the pentagram. Spells using laurel leaves to gain prophetic dreams are mentioned (p. 115), as are spells to relieve drought (p. 116) – not in any detail, but with sufficient references for the interested reader to follow up. The conclusion (pp. 279-288) is that the early modern witch trials (and the more recent satanic panics of the 1990s) can be best understood by looking at anthropological, historical, and sociological research from around the world regarding the concept of the malevolent magician. 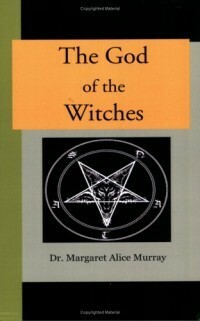 Studies of classical paganism and ritual magic are, Hutton finds, of less use in explaining the witch as he defines her for the purpose of this text. It barely needs saying that the book, in its entirety, is meticulously researched, well argued, and impeccably referenced. It covers such a broad span that there is little detail in any one area to help the modern Wiccan looking for inspiration, but the 51 pages of notes and references to other sources amply make up for that. Is there any comparison to be made with Gardner’s Witchcraft Today or are they diametrically opposed in methods and conclusions? 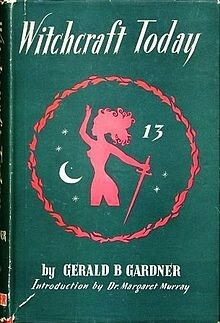 Gardner’s book comprises thirteen (!) chapters and there are some interesting parallels with Hutton. Chapter V on “The Little People” echoes part of Hutton’s third section. Gardner’s Chapter VIII covers Egyptian magic which is also prominent in Hutton. However, apart from these superficial differences they could hardly be more different books. Gardner’s starts with an introduction from Margaret Murray, confidently asserting that not only is there a direct line from modern witchcraft back to the medieval witch trials but that the line goes back further still, to classical paganism and even to the Stone Age. There is so obviously no possible proof of this that the claim (especially after reading Hutton’s closely argued and evidence-based work) sounds laughably naïve. The rest of the book is similarly unstructured: a grandiose confection of unsupported assertion, wishful thinking, and declarations of opinion as fact. On page 47 of Witchcraft Today, Gardner amusingly cites both Crowley and Kipling as authors influenced by the witch cult. To the modern-day reader, his attempts to explain the similarity between their writing and the Gardnerian Book of Shadows shows a poor attempt at concealing the fact that the influence goes entirely the other way. Gardner’s thirteen chapters have no clear logical system, and the whole book is unstructured and disorganized. Despite his pretensions to scholarship, Gardner’s text reads more like a scrapbook of ideas than a scholarly work. He has laughably few references, while Hutton has easily twenty or thirty times the number. His writing is pedestrian and dull, although still worthy of recognition for a man with such a poor education and of his time and class. Hutton, by contrast, is clear, well argued, and at times even witty. So in ten or twenty years’ time, which of these two will be the more influential for whatever Gardnerian Wicca looks like then? Hutton’s fine piece of academic scholarship – well-referenced, elegantly structured, and fluently written? Or Gardner’s make-believe, cobbled together scrapbook of ideas – a work of imaginative fiction masquerading as fact to provide a spurious sense of historical validity for his newly-emerging Wicca? The answer, of course, is that Gardner’s work will still be on almost every initiate’s bookshelf while Hutton’s will have been overtaken by the next generation of scholars and all but forgotten except by specialists. Because Witchcraft Today is only inferior to The Witch if we judge them on equal terms, and much though Gardner wanted to be taken seriously as a genuine academic (witness his two unsubstantiated claims to doctoral qualifications), this is not what he has achieved. Witchcraft Today tries and fails to be taken seriously as a historical, factual account but that is not the purpose it plays in Wicca. As soon as we recognize the book for what it is – an inspirational work of the imagination and a foundation myth for Gardnerian Wicca – it becomes a much stronger and more necessary piece of writing. Religions that believe their own foundation myths are as laughable as fundamentalist Christians trying to rationalize a six-thousand-year-old history that includes fossils. To be truly authentic, Gardner wanted a link back to the Stone Age because only then could he and others take Wicca seriously. Now that Wicca has a seventy-year history, we do not need such a grandmother story. Witchcraft Today can join Graves’ The White Goddess as works of inspirational fiction – the two adjectives being crucially linked. Gardner’s book is both of these things. Hutton’s book is neither. Both are important inclusions on any witch’s bookshelf but for very different – in fact diametrically opposite – reasons. Morgana: Many thanks to Kim Dent Brown for this extensive review and comparison. Photo “Witchcraft Today” https://en.wikipedia.org/wiki/Witchcraft_Today#/media/File:Witchcraft_Today.JPG The book was initially published in hardback in November 1954 by Ryder & Co.